Angel Of The Winds will use the KEYPR platform to greatly enhance the experience for their hotel and casino guests. “We are excited to bring this new technology to our Hotel & Casino," said Travis O’Neil General Manager. "In addition to leveraging its powerful promotional capabilities, we look forward to benefiting from the unified back end tools the KEYPR platform offers our team members." 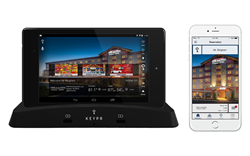 KEYPR®, the leading technology company whose cloud-based solution integrates the hospitality experience for guests, staff and management through embedded and mobile devices announced today their partnership with Angel Of The Winds Casino Resort in Arlington, WA. The casino hotel, which is owned and operated by the Stillaguamish Tribe, will use the KEYPR platform to greatly enhance the experience for their hotel and casino guests. The KEYPR platform provides a custom mobile guest app, in-room tablets, keyless entry and GEMS®, KEYPR’s proprietary Guest Experience Management System. The platform offers hotels, casinos and residential properties opportunities to increase revenue, increase operational efficiency, access valuable performance data and delight guests. In addition to using the system at the hotel, Angel Of The Winds will utilize unique GEMS features to manage work orders and services on the casino floor. “We are excited to bring this new technology to our Hotel & Casino," said Travis O’Neil General Manager of Angel Of The Winds Casino & Resort. "In addition to leveraging its powerful promotional capabilities, we look forward to benefiting from the unified back end tools the KEYPR platform offers our team members." Angel Of The Winds guests, staff and management now have access to the full KEYPR platform which allows remote check-in, keyless entry, easy access to hotel and casino services, promotions and other direct messaging benefits. The KEYPR team will be at G2E in booth #2711, for appointments or more information, email demos(at)keypr(dot)com. 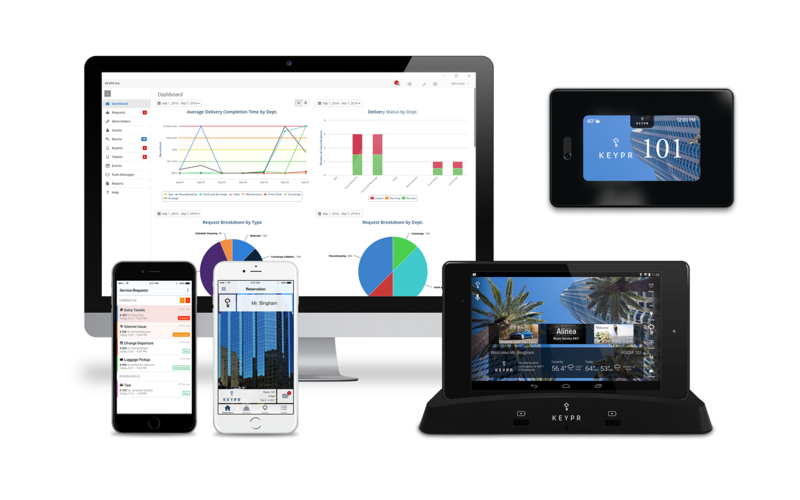 The KEYPR PlatformThe KEYPR Mobile App, In-Room Tablet, Keyless Entry and GEMS System promise increased revenue, operational efficiency and guest satisfaction.